You have to be quick to keep up with the constantly evolving SEO landscape. In the time it takes to look up who the original Darren was on Bewitched, you can miss a number of significant changes implemented by Google that can have a serious impact on your dental practice’s SEO campaign. With Google having recently implemented another dramatic update to their algorithm – the secret sauce behind how the company displays search results – you can be sure the rules of SEO have changed. Here is a look at the most important developments you need to know. In August, Google announced a major restructuring. From this point forward, Google would be a subsidiary of Alphabet Inc., a holding company charged with overseeing all of the products and services Google offers. So what does this have to do with SEO you ask? Google is creating the foundation for becoming an organization that’s better able at adapting quickly to any change. As Google’s search engine becomes more user-friendly and gets better at recognizing and rewarding higher quality content it will become more difficult for businesses to take advantage of previously existing shortcuts to gain higher organic search visibility. Dental practices will have to be diligent in following the best practices of SEO when marketing online and when creating the overall content found on their websites. When Google launched the latest update to its search algorithm the company announced a major shift in how it would view mobile-friendly websites in the future. Dubbed the mobile-friendly update, for obvious reasons, Google’s algorithm would now give mobile compatible websites greater search authority when compared to websites that are not mobile optimized. Due to the incredible growth of Internet usage on mobile devices and updates like this by Google, it has become apparent that a mobile-friendly website is critical for any business to succeed from both a marketing and an SEO standpoint. For dental practices, mobile-friendly websites have an even greater importance, because more patients have started booking appointments using their smartphones and tablets. So having a website that isn’t mobile optimized not only hurts a practice’s SEO efforts, it may also limited the number of appointments made and overall patient satisfaction. – Run a properly optimized and active Google Plus business page. – Correctly optimize every page of your practice’s website by having the physical address and phone number of the practice on every page. Make sure the website also features pages that highlight specifically what services you offer patients. 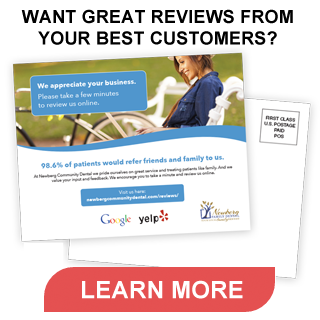 – Claim ownership of a practice’s listing on all directories like Yellow Pages, Bing, Yelp and CitySearch. – Develop a solid inbound link profile. Focusing on these areas will produce better SEO results, especially for dental practices with limited resources. Unfortunately, considering the importance of search optimization, many SEO companies on the market today overpromise and under deliver results. At Local Fresh, we specialize in helping dental practices build lasting local SEO campaigns that improve search results and patient acquisition. If you want to know more about what Local Fresh can do for your dental practice click here.